Transportation scholarships could help some students select a school that works for them. Students struggling to escape an ineffective education often lack a couple of key tools: credible, useful information and safe, reliable transportation. The new Detroit Schools Guide is helping parents learn about what different schools offer, but large-scale solutions to overcome the other barrier have been hard to come by. A little-discussed state proposal to offer transportation scholarships to low-income families could help tackle the other challenge. Detroit continues to rank as the lowest performing urban school district on national achievement tests. More than half the city’s 100,000-plus school-aged children have the left the Detroit Public Schools Community District for a public charter school or a suburban district. Most of these parents are satisfied with their children’s new learning environments. But better schooling options remain out of reach for others. Finding safe, reliable transportation to and from school remains a hindrance for some families who want a better option than what’s nearest to where they live. Finding safe, reliable transportation to and from school remains an obstacle for some families who want a better option than what’s nearest to where they live. Backed by Mayor Mike Duggan and some key education leaders, a new bus loop serving 10 schools in northwest Detroit has gotten rolling this fall. But it covers less than 10 percent of city schools, and it’s too soon to know how well it is working. One thing we do know is that families with the resources to travel to better schools are more than willing to make the trip. A new Urban Institute analysis of Detroit students’ travel times says, “On average, students are actually attending a school of slightly higher quality than their nearest available alternative.” In some neighborhoods, where there is a dearth of good options, finding a safer school with a slightly better academic record can make a crucial difference. And multiple metrics have shown public charter schools in the Motor City outperforming district-run schools. Families are generally attracted to better results. Yet the likelihood of attending a better school depends on characteristics that shouldn’t matter. The Urban Institute report finds that black, Hispanic, disabled and low-income students are less likely to attend Detroit’s few high-quality schools than their more well-off counterparts. One way to explain the disparity is this: While families are willing to travel to get better results, and high-quality charter schools are proven to deliver those results, too many students are simply unable to manage the logistics of getting to them every day. Better high schools, in particular, many clustered near the downtown area, are often too far away. Bus service is available to some charter schools and for choice students who attend some districts beyond their home boundaries. Fewer than half of the 100-plus charter school parents from Detroit who responded to a recent Mackinac Center survey said their child takes the bus to school. A small number indicated they drive their kids from 20 up to 50 minutes away, but that isn’t realistic for most. Some parents may need more assistance with the expense of transporting their child to a quality school in a different part of Detroit, or outside the city. 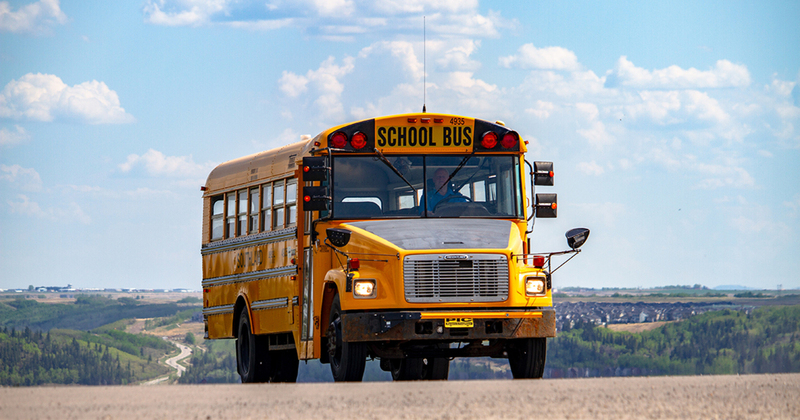 So some people have proposed a system of transportation scholarships for low-income families to help them access a variety of learning opportunities. Such scholarships could help more families find the learning environment that works best for them. They also could serve as a stopgap until lawmakers fix no-fault auto insurance and make vehicle ownership less expensive, especially in Detroit. While Lansing lawmakers scuttled a transportation scholarship proposal last year, the idea is still ripe for another try. Whether such a program would lead to more schools operating yellow buses, greater access to ridesharing services or some other means of expanding a family’s access to needed educational options, some critical details would need to be resolved. But putting more power in the hands of families, not only to choose a school but also to be able to make the daily trip, should help make school systems more responsive to what students need.